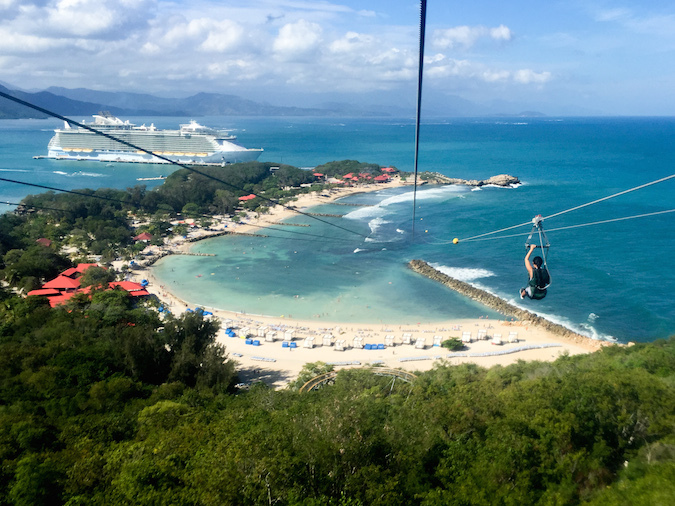 The view from Dragon's Breath Zip Line, the world's longest zip line over water. As you can probably guess, it wasn't easy taking photos atop a horse in Jamaica. 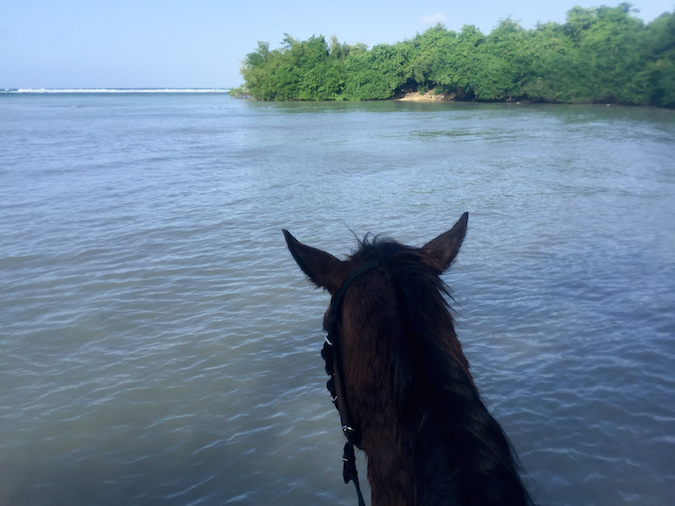 We spent our time here on a fantastic horseback ride-and-swim (yes, I said swim). 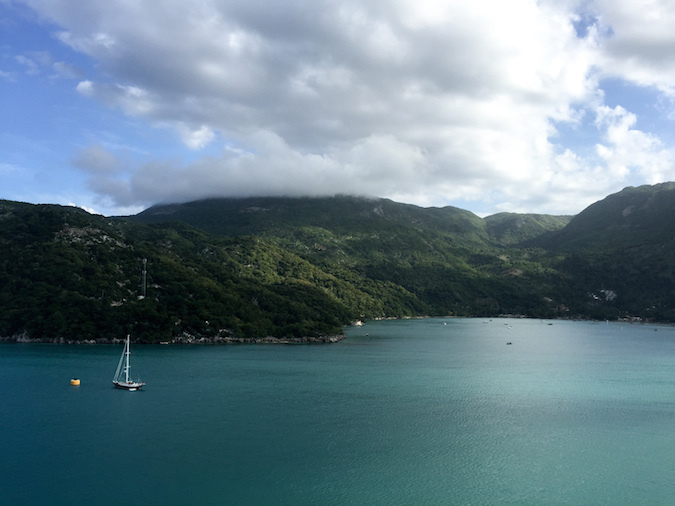 The most amazing moment was our trot into the Caribbean Sea, as you can see pictured above. 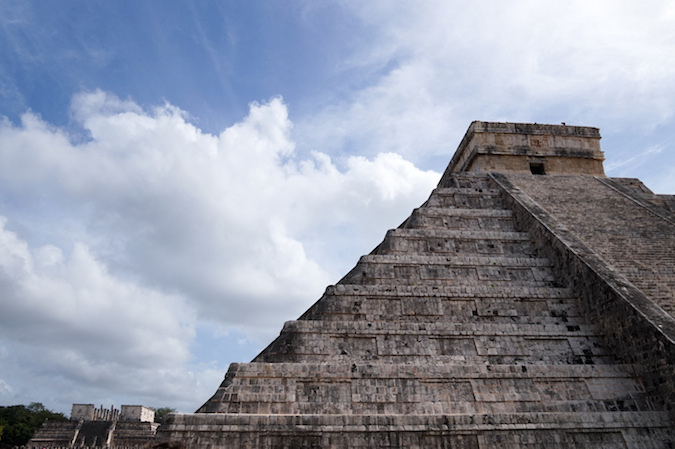 There is so much to be said about the brilliance of the Mayans, but to keep things brief I encourage you to read on their endless customs and achievements. 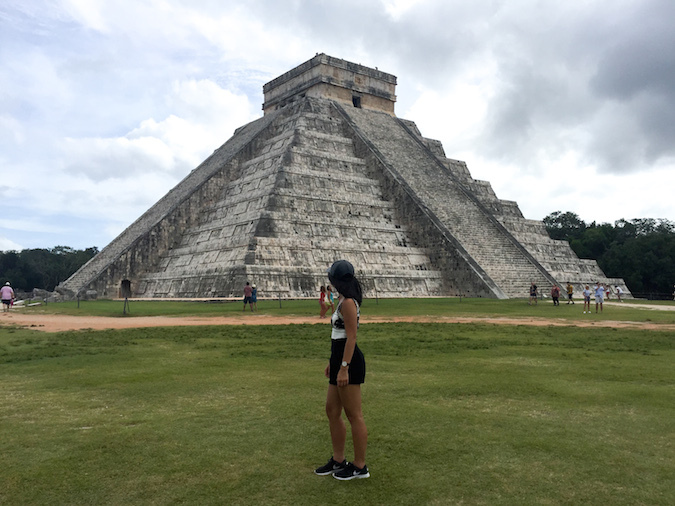 By far one of my favorite visits to date, Chichen Itza officially stands as a wonder of the world and rightfully so. 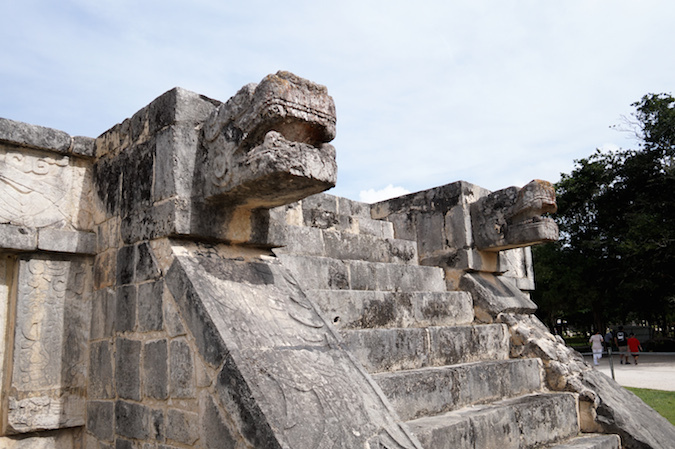 This towering structure, the Temple of Kukulkan, was the center for religious power amongst the city's ancient people. 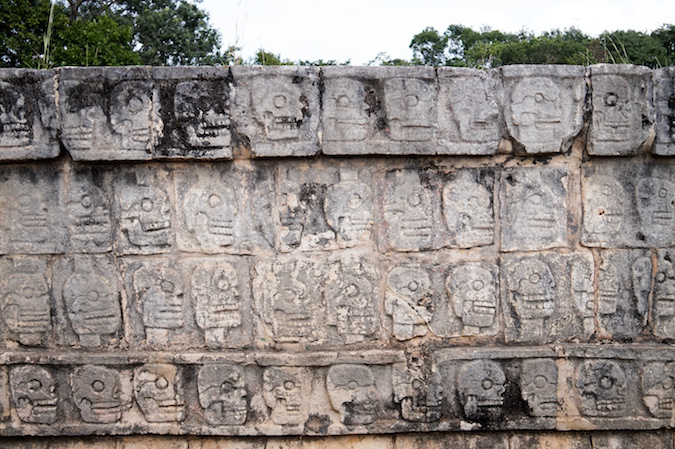 It exhibits the Mayans' understanding of the calendar and astronomy, with each detail representing everything from days and months to the biannual equinoxes. For any history buffs, there are absolutely fascinating details to be learned about this site. With all the major changes that have come out of 2015, I am ready for the adventures that await in the coming year. Thank you for stopping by this blog and supporting my content. Looks by Lau has truly grown this year not particularly in numbers, but more so in community. I love this abililty to connect with people around the world and build friendships with local influencers I would not have met otherwise. That is a reward in itself. Here's to a fantastic year, and many more to come. Happy new year to you as well, love! Looks amazing! love your white romper! its been a great 2015.. Cant wait for all the 2016 looks from you! Happy New Years babe!! It defo was a great year for you. I can't believe you went zip lining, I'm too much of a chicken to even attempt it, haha. Great looks, I love the white lace romper. Happy New Year babe. Congrats on all that you've accomplished this year! Happy New Year! Cheers to you! That trip looks so fun! :) Happy new year Christina! Dreamy places! Looks like you had an amazing time! I would never do this over-the-water thing in Haiti. (too scared to even look the picture!). 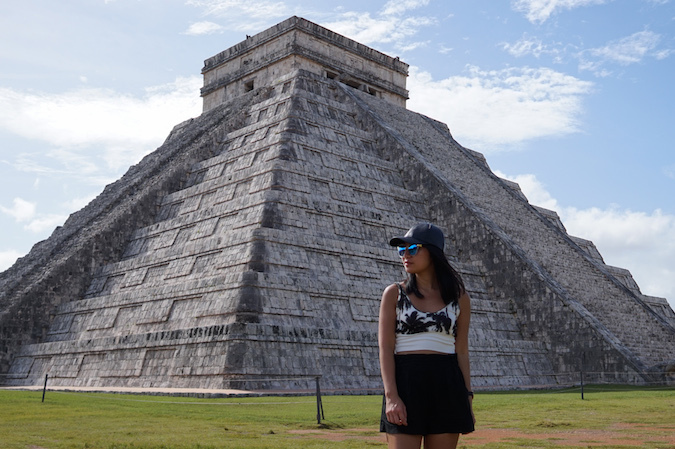 You got amazing travel Christina. Looks like an amazing trip! Thanks for sharing these wonderful photos! Happy New Year! Wow, doing a cruise is definitely on my list! Happy New Year! Im so jealous. Looks like the greatest place to spend your holidays. I'm so happy to have been part of the Looks by Lau community in 2015, Christina, and I'm looking forward to much more this year. Your trip looks amazing and I cannot wait for more content from the cruise! Amazing photos. I'm pea green! That is truly an amazing destinations, you're so lucky to discover much of the most amazing and interesting part of the world. Well, hope you'll be posting your next stop! have a nice day ahead! Georgetown, Grand Cayman is a popular cruise port in the Caribbean Islands with a harbor full of bobbing yachts and the silver sands of Seven Mile Beach lined with sun worshippers. 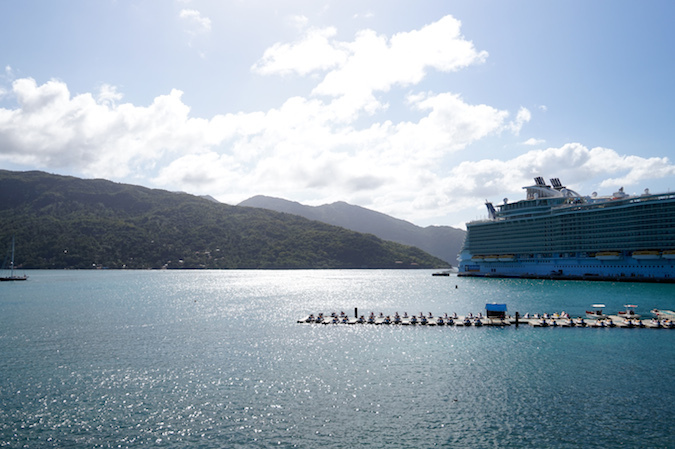 Hope you had a great time on your cruise. I went on a Western Caribbean cruise several years ago and it was so much fun. Love your lace romper. Looks so good on you. You are definitely a beautiful soul inside and out Christina and I'm glad I've met you! I consider you one of my blogger friends. This post and all your travel posts have encouraged me to travel and experience more this year, Happy new year Christina!